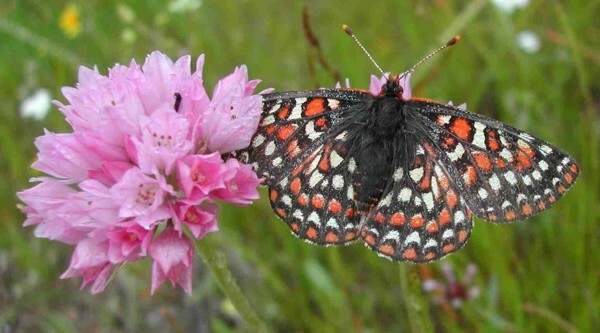 The Goal: Conserve threatened populations of the Bay Checkerspot butterfly through science-based habitat restoration and management. The Problem: Encroachment on serpentine grassland habitat by human development has severely limited the distribution of the butterfly. In addition, invasive grass and shrub species are reducing populations of host and nectar plants, especially where atmospheric nitrogen deposition (from air pollution) favors faster-growing non-natives. threatened species. Conservation Biology 13:1476-1486.